1000hrs departure from Tarbet Pier arrives Inversnaid at 1030hrs and allows 3 hours for the 17.5 mile cycle to Trossachs Pier. SS Lady of the Lake departs at 13.30hrs for cruise to Stronachlachar Pier. Cyclists have 2 hours to cycle 4 mile back to Inversnaid from Loch Katrine for 1630hrs cruise back to Tarbet. 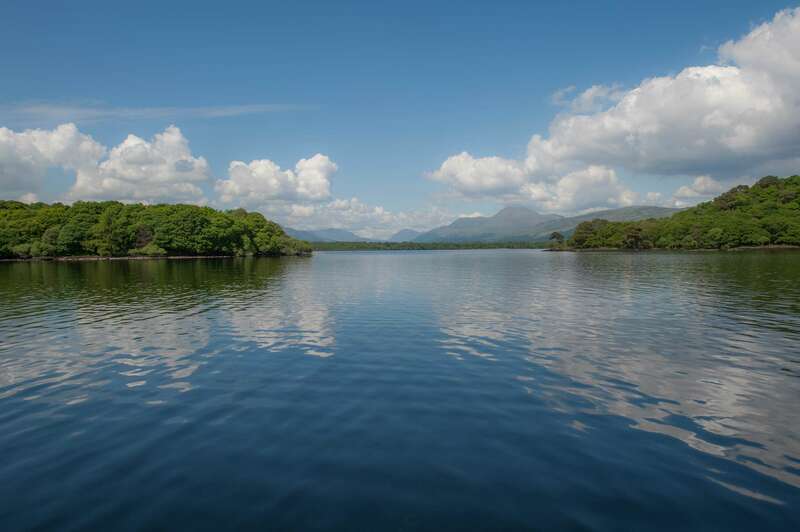 Alternatively you could cycle to Stronachlachar and sail to Trossachs Pier. Pier Café; Inversnaid Bunkhouse; Brenachoile and Inversnaid Hotel all offer selection of local produce; ales and coffees. 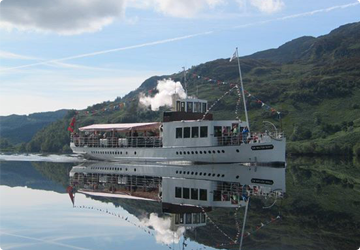 Ticket price does not include Loch Katrine sailing. Demand Responsive Transport is organised in rural areas where commercial or conventional bus operators are unable to provide bus services. Transport is provided by local taxi companies. For visitors unable to walk or cycle the four miles between Inversnaid and Stronachlachar, you can use this service at the cost of a bus fare rather than a taxi fare. Bookings should be made 24 hours in advance, although every effort will be made to accommodate passengers making bookings on shorter notice. This service is provided by Stirling Council for Trossachs and Strathard areas that have no direct regular bus service. In the Strathard area (between the lochs) the service is available betweenInversnaid, Stronachlachar and Aberfoyle. DRT is also available in the Trossachs, between Callander and Trossachs Pier. Senior bus pass holders and disabled cardholders travel free. Holders of ‘Young Scot’ cards travel for 33% off the full price. Looking to get moving before or after your cruise? Why not try our cycle hire services, where you can hire a bike from us and bring it on board for free, for either 3 hours or a full day. Alternatively you can bring your own bikes on this cruise, for just £1.00 each way! Available from 18th May 2019 to 3rd November 2019.